« 2010 House Resolutions Check-in: Jul…no, wait, December! 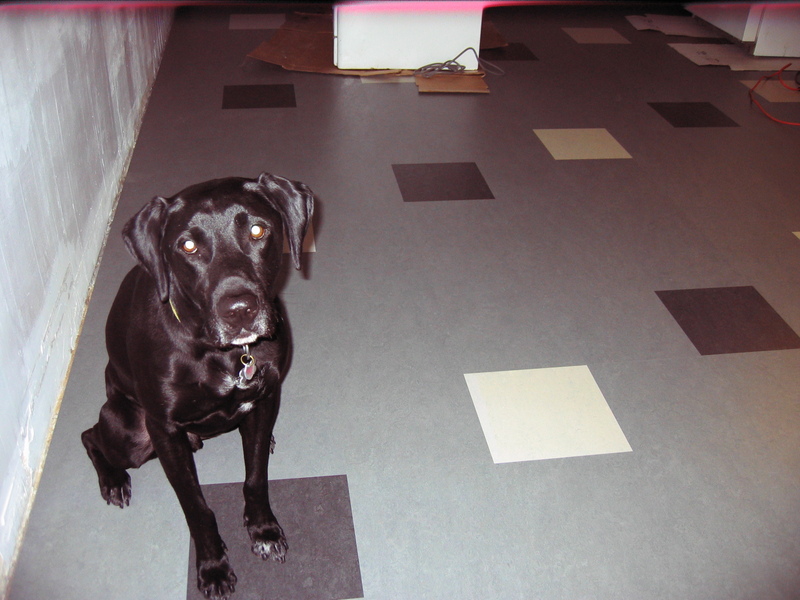 Interesting to hear about the Marmoleum and the labradane. We’ve got Marmoleum (glue down tiles vs. the click), and my brother-in-law wondered about it with regards to doggy durability. I figured it would be pretty good visibly at least, because the colors are solid, not just painted on top. @Gene, we picked the Click in part because it was supposed to be pretty tough stuff with dogs…we do have a couple of scratches, but they’re all appliance in origin. I really only notice it on the dark tiles; the lighter ones hide almost everything, so I think if animals (or kids or other things that scratch floors!) are a factor I’d pick one of the lighter shades. The Click is a little different from the sheet in that it has a cork/wood underlay, though, so dunno if that affects how durable it is, but generally I’m a fan so far. It’s also super warm compared to our old ceramic tile!